How many of your retirement-age em­­ployees are just hanging around so they can receive benefits and collect paychecks, simply because they can’t afford to stop working? Dealing with an aging, financially unprepared workforce is a reality that should concern employers. The percentage of people who expect to retire after age 65 has risen dramatically in the past two decades (see chart below). Health care costs for em­­ployees older than 65 are more than double that of employees age 45 to 55. And while the statistical rate of work-related accidents does not in­­crease dramatically for employees over age 65, when incidents do occur they are more severe and cost more workdays. How do productive people get it done? 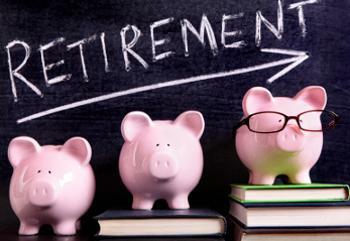 Find a good company to administer your retirement plan! I switched my plan to Steidle Pension Solutions http://www.sps401k.com two years ago after a bad experience with my payroll company handling our plan. I could never get answers to my questions and was never able to talk to the same person twice. Now that Steidle handles my plan, I am always able to get fast, intelligent answers to my many questions. The administration of the plan is clear, items are taken care of efficiently, and Keith and the staff are very friendly.